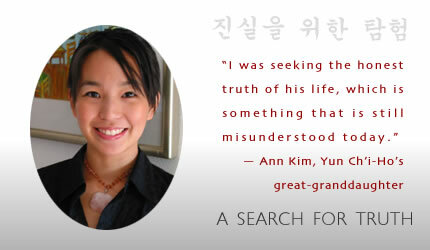 When Ann Kim, an independent political fund raiser in Los Angeles, decided to write a biography of Emory alumnus Yun Chi-Hoa Korean diplomat, political activist, and Christian missionaryshe had a personal incentive for learning more about his life: Yun was her maternal great-grandfather. 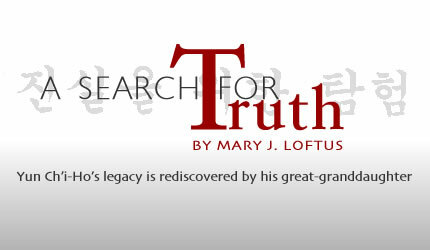 She also knew of Yuns tempestuous relationship with the Korean government, including time spent in jail and accusations that he had been disloyal to his country by aligning himself with Japan during Koreas colonization. During her research, Kim pulled from several of Yuns writings, including diary entries from the years 1891 to 1893, when he was a student at Emory College in Oxford. He was especially close to Warren A. Candler, then president of the University and Yuns sponsor. When Yun arrived in the United States in 1888, he was a twenty-four-year-old political exile. His career in the Korean foreign service had come to an abrupt end after friends of Yuns who were radical reformers staged a bloody but unsuccessful coup in Seoul. Although Yun hadnt taken part in the coup, many assumed him to be guilty by association, and he left the country. Emory alumnus Young J. Allen 1858C, a Methodist missionary, had met Yun in Shanghai, where he was a student at the Anglo-Chinese College and, recognizing his abilities, arranged for him to travel to America for study as a theology studentfirst at Vanderbilt University, then at Emory. Here I am, I am enjoying blessings that millions of my countrymen know nothing of. 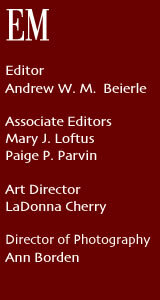 I am in the light of pure religion, intellectual freedom, political liberty. They are groping in the darkness of superstition, ignorance, political slavery. Heaven grant me the way to spread my measure of light among them! After graduation, Yun returned to Shanghai, where he was married. In 1895, a change in government let Yun and his family return to Korea, where he was appointed to the reform cabinet. He also helped establish the mission of the Methodist Episcopal Church, South, in Korea, and wrote the poem Aegukka, now the words to the Korean national anthem. He became editor of the Korean newspaper the Independent and led demonstrations in front of the royal palace, angering conservative officials and narrowly escaping assassination. In 1899, he was moved to a port town as magistrate and remarried after his wife died, fathering eight more children, among them Kisun Yun, the famous concert pianist, and Jang Sun Yun, Ann Kims grandfather. Yun returned to Seoul in 1904, becoming acting minister of foreign affairs. After Japan established its protectorate over Korea a few years later, he devoted his time to religious and educational work. 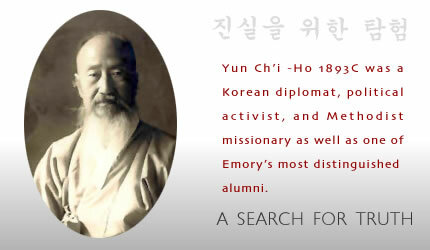 In 1908, Emory College awarded Yun an honorary doctorate. Then, in 1911, Yun was one of more than a hundred men jailed on suspicion of the murder of the Japanese governor-general of Korea. Yun and five friends spent four years in prison. After his release, he worked with the YMCA, which he established in Korea, until his retirement in 1925. Less than four months after Korea was freed from Japanese rule by the allied victory in World War II, Yun diedon December 6, 1945. Kim, who received her bachelors degree in political science at UCLA, began reading everything she could find that had been written by and about Yun, including his correspondence with Candler, which is included in the Warren Candler papers at Woodruff Library. I thought Id do an independent research paper for my own curiosity, working with [UCLA] Professor Namhee Lee, who has been a mentor in my studies as well as my career, Kim says. 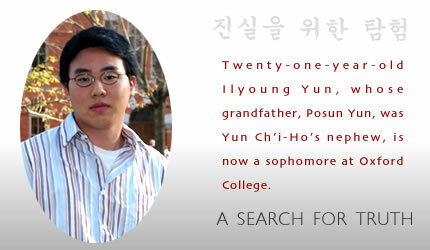 Another young relative is also following in Yuns path: Twenty-one-year-old Ilyoung Yun, whose grandfather, Posun Yun, was Yun Chi-Hos nephew, is now a sophomore at Oxford College of Emory. Kim is herself interested in Korean politics, especially the North Korea-South Korea divide and the talks occurring in China. She completed Yun Chi-Ho: A short biography, which places Yuns life in the context of Korean history, in February 2003 and is hoping it will be published.